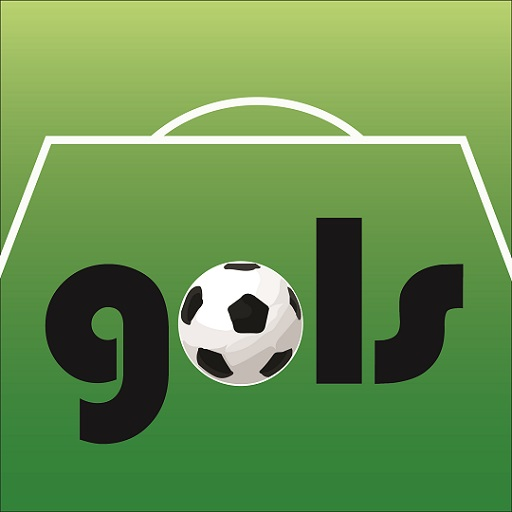 To mark the full launch of the Soccer Fitness Gols app on the App Store and Google Play, we are asking our community to share your fitness gols and, most importantly, why you’ve set them. Please post a brief video describing your goal and tag us on Facebook and Twitter (#whatsyourgol). In your video, please also send a shout out to 3 people you know to encourage them to do the same. You can check out my personal video on our Facebook page. I’m excited to welcome you to the next edition of the Soccer Fitness Gols Video Blog. In this Blog, I will be providing weekly video content relating to all things soccer and fitness. In this edition, I discuss the importance of keeping the airway warm while training and playing as temperatures get colder throughout the Fall season. Below is a link to a very interesting article written by Tryggvi Kristjansson, that was posted last week on http://www.thesefootballtimes.co, an international soccer specific website/blog. The article describes the ascension of Iceland – a country which, with a population of just over 300,000 is one of the smallest European member nations in UEFA – as a soccer contender capable of consistently producing results against the traditionally stronger teams on the continent. At week’s end, Iceland sits in 1st place in Group A of UEFA Euro 2016 Qualification, with 19 points (8 wins, 1 tie, and 1 loss) from their first 10 games. Incredibly, they have already qualified and secured their place at Euro 2016 in France. The success of Iceland’s National Soccer Teams has been the result of several changes instituted over the past 20 years by both the Icelandic government and municipal sport authorities, as well as the “KSI” (Knattspyrnusamband Íslands; the Icelandic FA). Among them include investment in development and improvement of soccer facilities, better funding for National Teams programs and. perhaps most importantly, a comprehensive, nation-wide restructuring of their coach education program. The end result is that in Iceland today, over 70% of the coaches have UEFA ‘B’ Licenses, and over 30% have UEFA ‘A’ Licenses (the highest license available to amateur coaches). This is unprecedented not only in Canada/North America (where the overwhelming majority of coaches are volunteers who do not hold any coaching licenses at all) but also in Europe, as Iceland now have a higher percentage of UEFA ‘B’ and ‘A’ Licensed coaches than any other European nation. Of course, there are some factors working in Iceland’s favour, including their small population (only 300,000), small total number of coaches (only 700), and small geographical landmass/area (just over 100,000 square kilometres). The influence of the changes made to their soccer programs, however, including the emphasis placed on coach education, has produced results that are impossible to ignore. It would be very interesting to see if these results can influence other nations, including our own, to push for the same type of changes. It’s September, and I am now 1 full year into “back-to-school” mode. The class I am presently enrolled in is Advanced Sport Psychology. I first studied this subject during my undergraduate degree in Kinesiology over 10 years ago. I was fascinated by the topic then, and I continue to be fascinated by it today. As part of our first week of readings, I came across an excellent article written by Gabriele Wulf (2007), titled “Attentional Focus and Motor Learning: A Review of 10 Years of Research.” As the title implies, this article reviewed and summarized 10 years’ worth or research on how attentional control used during coaching, delivered during both instruction and feedback of the execution of technical skills, can affect performance of those skills. The overwhelming majority of studies across several different individual and team sports (including soccer of course) indicated that attention during technical execution should be focused externally, rather than internally. The attentional focus in this example is internal, because the instruction is for the athlete to focus on their foot, which is a part of their own body. In this example, the athlete is directed to shift their attentional focus to the ball only, which is an external stimulus. Initially, upon reading this information, I found it surprising and unlikely that such a small – and seemingly insignificant – change in coaching instruction could actually have an impact on athletes’ performance or technical execution of the skill. As it turns out though, the same examples I just gave were taken directly from another study, examining the effects of different coaching instructional techniques on ball striking accuracy in soccer players! This study, also done by Wolf et. al. in 2002, found that soccer players provided with externally-focused feedback had significantly better ball striking accuracy than those who were provided with internally-focused feedback. Similar studies conducted in many other team and individual sports have shown similar results, all indicating that external instruction and feedback is more effective at improving short-term execution, as well as long-term learning and retention, of sport-specific skills. Of course, teaching and coaching complex techniques in soccer may sometimes require the use of both external and internal attentional focus. Based on the research, however, soccer coaches should challenge themselves to find as many ways as possible to give instruction and feedback in a way that draws their athletes’ attention away from internal cues, and towards external ones. I’m excited to welcome you to the very first edition of the Soccer Fitness Gols Video Blog. In this Blog, we will be providing weekly video content relating to all things soccer and fitness. In this first edition, I am discussing the importance of single leg strength exercises for soccer players, and providing some practical examples that can be done on the pitch after training. I hope you enjoy it!